SCHOOLCRAFT, MI - The recent head coaching history in the Schoolcraft football program is best described as one of stability and success, and the Eagles are hoping for more of the same from the new guy in town. Nathan Ferency was named the program's new football coach Wednesday, taking over for Terry Haas, who retired in December after leading the Eagles to a 95-40 record in 13 seasons, including 11 playoff appearances, five conference titles and a Division 6 district title in 2013. Haas took over for fellow hall of fame coach Larry Ledlow, who still holds an MHSAA record with a career winning percentage of .853 during his 214-37 run at Schoolcraft from 1982-2004. "It is an honor and a privilege to be entrusted with the Schoolcraft football program," Ferency said in a press release. "I look forward to honoring the traditions established by coaches Ledlow and Haas, past and present players, and all those who contributed to building this wonderful program. "We hope to build on their success and continue the tradition of excellence." Schoolcraft extended its playoff streak to nine consecutive seasons in 2017, but its 5-5 finish was the first time since 2008 the Eagles failed to exceed the .500 mark. Ferency spent the previous five seasons as the head coach at Shepherd, where he led the Bluejays to an 11-34 record in a tough Tri-Valley Conference Central Division that included perennial playoff contenders Saginaw Swan Valley, Freeland and Alma, who combined for 13 playoff appearances and 14 playoff wins since 2013. 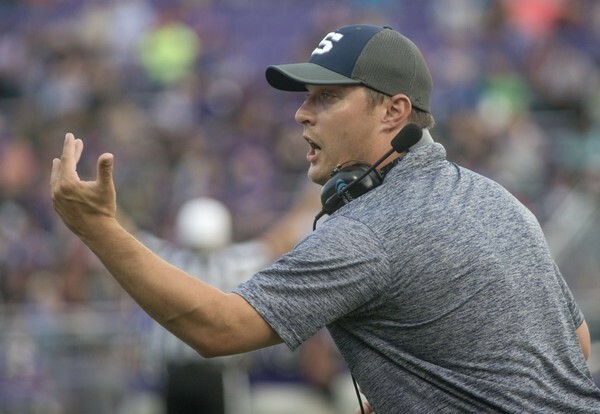 After spending a year as Shepherd's JV coach and two years as a varsity assistant, Ferency took over head coaching duties for a program that had posted three consecutive 1-8 seasons. The team went 1-8 in his first two years, followed by a 2-7 campaign in 2015. In 2016, Shepherd registered its first winning season in seven years with a 5-4 record, but the Bluejays fell short of the playoffs, and Ferency wrapped up his final year with a 2-7 record. In addition to his varsity coaching duties, Ferency served as the president of the Shepherd Youth Football Program and led the high school's powerlifting team. The 2009 Albion College graduate will also serve as a physical education and health teacher at Schoolcraft.